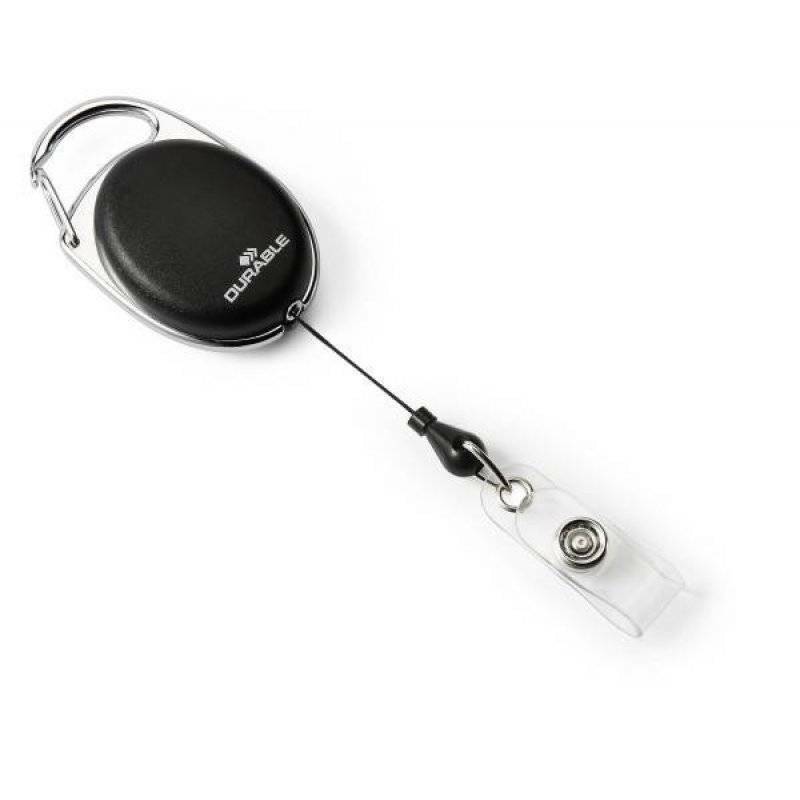 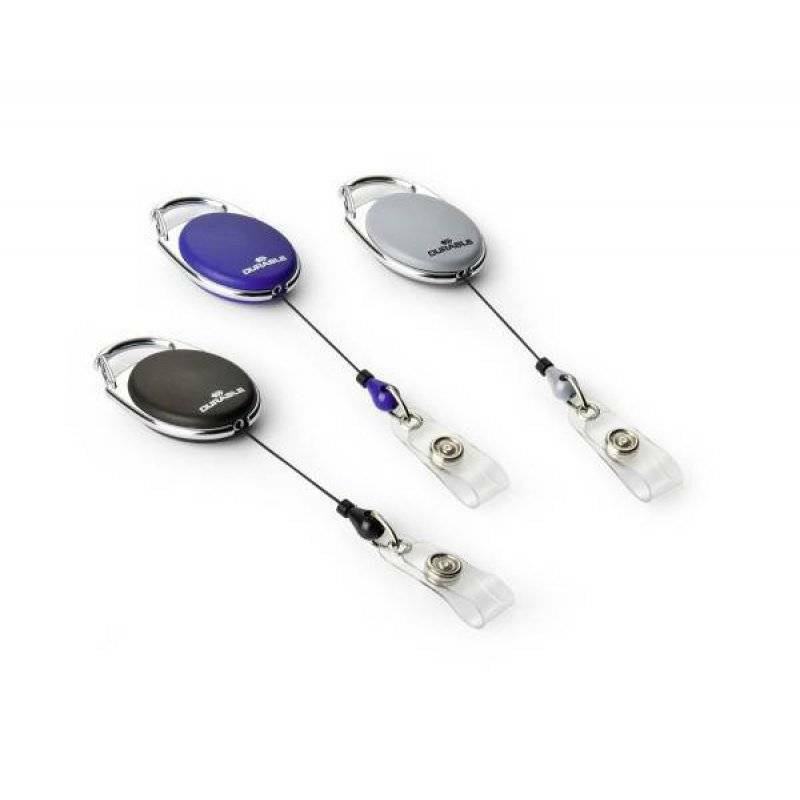 Stylish oval badge reel with metal plated finish and metal clip on the reverse. 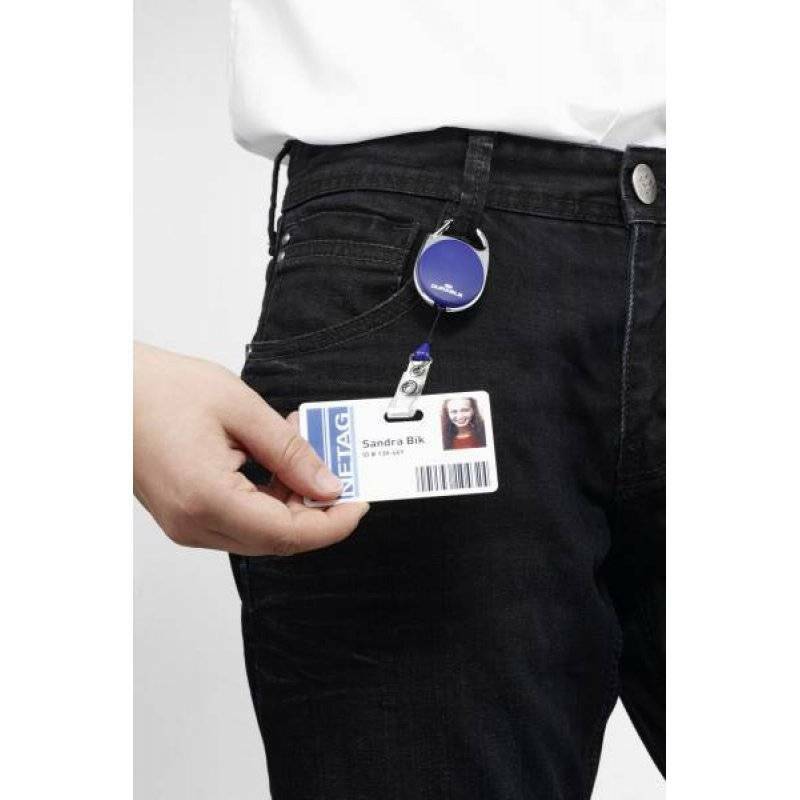 Provides quick and easy access to security passes and DURABLE name badges with a punched hole for a clip. 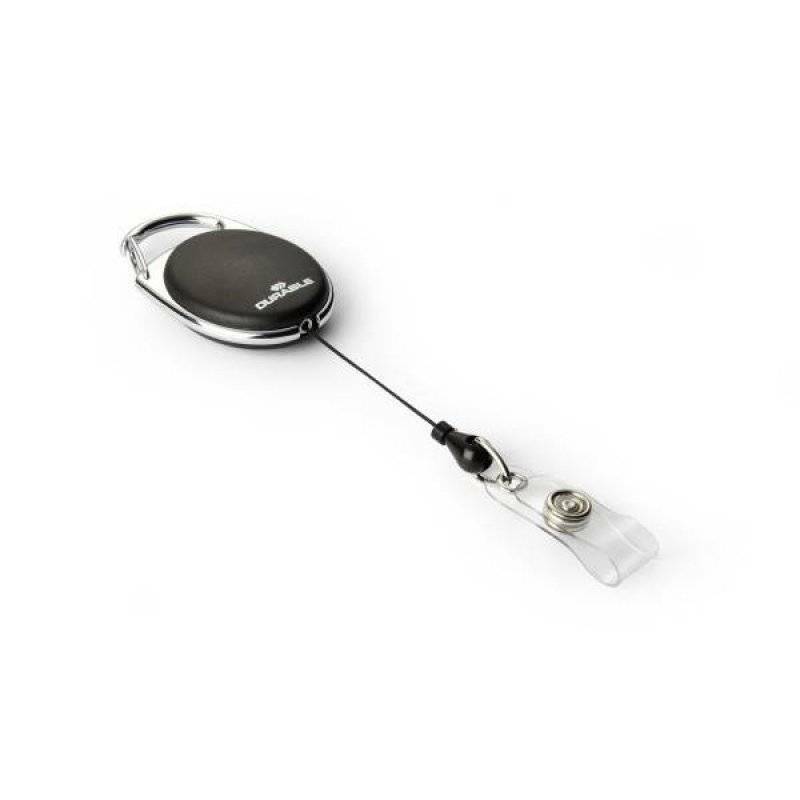 Press fastener attachment.